I haven’t been very good about using keywords so far in my online business. Why? Mostly because I was more worried about getting something up for people to read once they flocked to my blog. What, no flockers? You got it. So, now I’m on a mission to get more traffic to my blog and using keywords is one way to help me do that. If you spend any time reading a business blog, you are likely to run into the term “keyword,” and rightly so, as keywords are the foundation of search engine optimization (also known as “SEO”). If you wrote a blog post using one of those same phrases in your title or somewhere in your blog post, the search engine may put your blog post at the top of the results page, since it knows that is exactly what Nancy was looking for. Nancy would see that at the top of the page and click on your link to read your post. 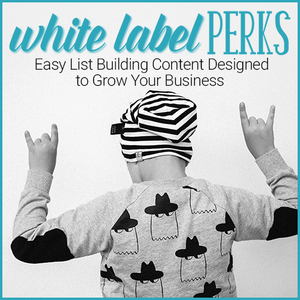 She may also sign up for your newsletter and become a life-long customer, simply because she found you through the search engine and liked your content. 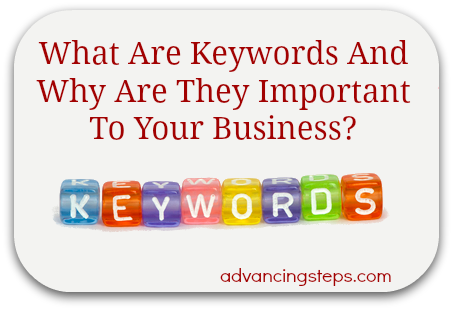 This is why it’s important to use keywords in your blog posts – it gives you free web traffic! How Do You Find The Keywords To Use? There are many keyword tools available to you, such as Google’s Adwords Keyword Tool and Wordtracker. Once you log in to either of these tools, you type in a phrase and it will tell you if it’s a phrase that is being searched for a lot. The keyword tools will also give you some complementary phrases to the one you typed in. Your ultimate goal is to find a phrase that is being searched for a lot but has low competition. You can easily perform a Google search on a keyword or keyword phrase that you are considering using, to see how many other web pages are using that word or phrase. A nice goal is to find a keyword or phrase that has less than 10,000 competing pages. It may take a little extra work in the beginning to research the keywords you want to use before writing your blog posts, but the overall boost in traffic will be well worth it.